Staying true to our original mission, our Work-Trade Program offers individuals access to our services without spending money. 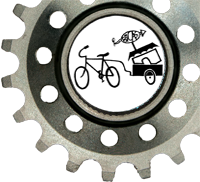 Tuesday through Sunday from 11am – 5pm, individuals may volunteer their time assisting BICAS in trade for used parts, use of community tools and 1 bike from our As-Is selection. Those bikes have not been tuned up in the shop and are in varying condition and priced accordingly. Our WTF (Women, Trans, Femme) community is also welcome to participate in Work-Trade during our Monday WTF programming from 3pm – 7pm. Space is limited by our capacity for the day. 1 hour of work-trade = $10 of shop credit. 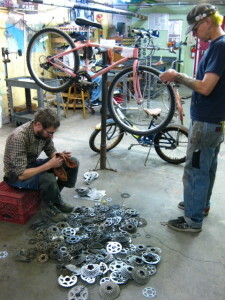 Work-Trade tasks include: cleaning, sorting parts, organizing the shop, dismantling bicycles, and helping staff with bicycle repairs and shop projects. All you have to do is show up and have a staff member help you sign in and give you a job. Varies daily. We also offer a Earn-a-Bike Program for individuals who are interested in utilizing their work trade and community tools experience to more thoroughly expand their bicycle repair skills. Work-trade can earn any bike from our As-Is selection of donated bicycles along with shop time to repair that bicycle — whether that means building up a bike from a bare frame or overhauling a nearly complete bike. We recommend the latter! One bike only 🙂 .